This is the type of message I aim to receive from every reader of SPI, and recently Benny Hsu from Get Busy Living sent me this very message, along with a success story that had me smiling from ear to ear. And he’s definitely living his message. His recent success story involves publishing an iPhone application, which is something he’s wanted to do for a long time. His new app is called Photo 365. It’s an app that allows you to document your daily life by taking one picture a day, and it organizes the photos into a sleek little calendar so you can easily get a snapshot of where you’ve been and what you’ve done. 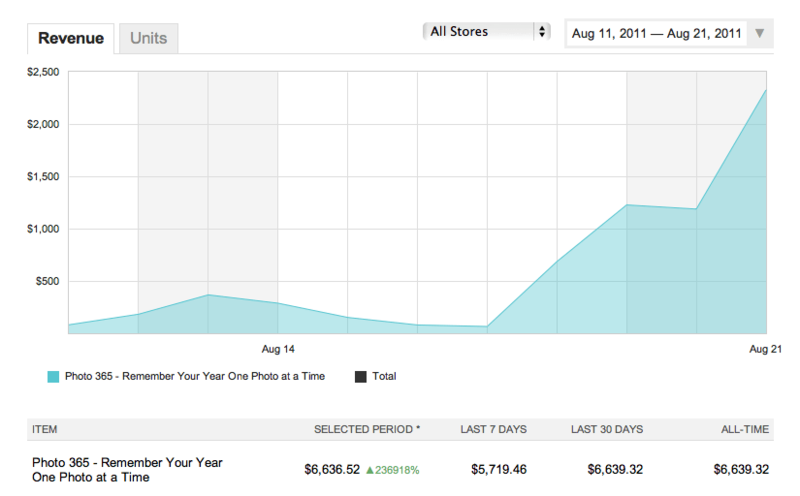 The concept isn’t new, and Photo 365 isn’t the first iPhone app of it’s kind, but he did something right and within the first 11 days Benny has earned a total $6639.32, and he’s on track to earn a lot more since Photo 365 is now the #4 paid photography app in iTunes, and the top 44 overall app in the entire app store! Yesterday, for example, his $0.99 app was downloaded 3,343 times and netted him a total of $2,325.91! This was so incredibly inspiring to me, not only because of the income or because he’s been able to rank higher in iTunes than any of the 26 or so applications that my own iPhone app company has published (which is awesome and I’m definitely proud of him for that! ), but mainly because he wanted to do something, saw an opportunity, took it, and is now being rewarded for his hard work and execution. I responded to Benny’s initial email and asked him if he’d be willing to share more details of his story with the SPI audience, and he kindly agreed. 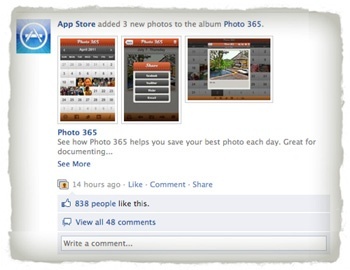 1) How did you come up with the idea for Photo 365? I had been using an app similar to the one I designed. It’s also about saving a photo a day. I started using it in April 2010 and used it for a few months. However the app was very basic. No graphics. White background with boxes and a number for the date. You could tell it was created by someone who knew how to code and did a great job but it didn’t look polished. Even before that, I thought it would be so cool to have my own app in the store. I did a little brainstorming of ideas but that was about it. I had no idea how to even get started. I didn’t think it was possible for me. I put that dream away. It wasn’t until I found your blog around October or November 2010. Immediately, I was hooked on your story and your content. You wrote about creating apps as a side project and I thought to myself maybe this is something I really can do. Your story inspired me. So in December 2010, I got started. I knew I could make a better photo app. I did a search of the App store and didn’t see any other apps besides that one. Because I saw so many reviews, I knew there was a market for it and I knew I could really make my app stand out with little competition. Also I had seen online many people do 365 photo projects. Most display it on Flickr, their blog, or just post it to Twitter. So there were people interested in saving a photo a day in one convenient place. I learned that if you try to market your product to everyone, then you’ll reach no one. I knew this app would target a specific niche. What I did was I looked through the reviews and looked at the average or bad reviews. I read their feedback. I took notes. One thing they wanted was to be able to see the days of the week. You couldn’t see that in the other app. People also asked for a realistic looking calendar. I looked to other apps I loved to see how it handled photos. I studied design elements that I liked. I just took an existing idea and improved on it. 2) How did you create the application and how much did it cost to build? In January 2011, I posted my job on Elance. I had proposals from $730 to $4000. I couldn’t understand how there could be such a huge difference. I pretty quickly eliminated the ones that sent a proposal without emailing me about more specifics about the app. The others one I looked through their portfolio and feedback. If I was interested I would email them to sign an NDA (non-disclosure agreement) first and then give them specifics about the apps. This was my first time outsourcing anything so I took my time to find the best I could. Once I found my team, we got started. The project started on February 7. I sent them my mockups of what I wanted. I told them about the functions. What was great about them was they also did the graphics for the app and the icons. I didn’t have to look elsewhere for that. The first phase was working on the GUI (graphical user interface) and the icon. They asked how I wanted it to look and would come back with what they did. I sent my notes to them and they’d do what I asked. I was amazed by how it looked. Then they started on the coding part. The first time I got to see the app was in a video they sent over. They sent videos over until it was ready to be tested on the iPhone. That’s where the ebook came in handy, as well, because using Xcode can be complicated. I thought the app would be done in three months. The testing phase took longer but that was fine with me because I wanted to make sure the features were working right. Throughout this whole time I emailed them. I never got on Skype but didn’t really need to. The app was finished on August 4, almost seven months from the start date. The total cost was $1892. That price also included the work for an iPad version. That was the price they gave at the beginning and it never changed, even though I wanted to add more features than I said at the beginning. 3) How did you market the application? I know I’m not the best person to ask about marketing my app because I didn’t do any marketing. But I had one key that really helped my sales that first weekend. I setup a Twitter and Facebook fanpage to try and get people interested before I released the app. I didn’t really get that many followers and fans.  I created a website from a $10 theme from Themeforest.com that I slightly customized. I also became a reader of the forum http://www.iphonedevsdk.com/. I thought marketing would be such a huge part of the app. Instead I learned that marketing is a small part of your app. How many ads have you seen for Angry Bird, Cut the Rope or Fruit Ninja? Probably none. It just spread through word of mouth. You’re better off spending the money back into the app. I didn’t do any pre-marketing. I just posted on the app account for Twitter and Facebook that my app was available. Again I didn’t have that many fans. I also told all my friends about it on Twitter and Facebook and some were great enough to share it with their friends. Then once my app was released, I got an email the first day from Appadvice.com who wanted to do a review. Then I got an email from a couple other smaller app blogs that reviewed my app. A guy from Poland actually emailed me and wanted a promo code to do a review. 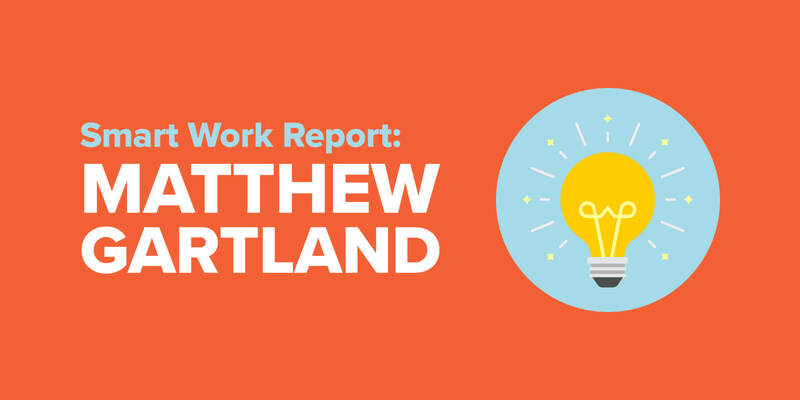 He told me he had 45,000 devoted readers and about 170,000 pageviews/month. Sure, why not? I will tell you, what I believe to be the key to my marketing. I released my app on a Thursday. In the forum, there was discussion of the best day to release an app. You can choose any day. The consensus was either a Wednesday or Thursday because the weekend is the busiest time for downloads. So I went for Thursday. When your app is released it will show up under “release date” in your category. I knew I would get some exposure from that. I read that was important because people will browse to see what’s new. I couldn’t tell how many people found my app through keywords so I just assumed most downloads for that first weekend was because it was seen in the new category. From Thursday to Sunday my app was downloaded a total 1,325 times at 99 cents. Completely amazed! I had reached as high as #47 in the photo category. However Monday-Wednesday my app was moved further down in the release date section so not as many people saw it. I had 219, 114, and 93 downloads respectively. I didn’t know at that point what I should do to get my app back up. I imagined I had to start asking for reviews on blogs. To be honest, I felt dejected to see sales declining after a great first weekend. I knew it would get lost with all the other apps and only be found if people searched for it. Then on Thursday, I hit the app lottery. Thursday night I was checking the App store while at work. I looked to the featured page and couldn’t believe what I saw. I saw my app on the screen listed right below ESPN Fantasy Football! I’ve never won the lottery before but I imagine I would react the same way as I did when I saw my app there. I was stunned and I called my sister to ask her to check to make sure it wasn’t just my phone showing it. Why was I so excited? Because from my reading, I knew being on the featured page would be a huge boost in visibility. Not only was it on that page but above the fold. We all know how important that spot is on a website. 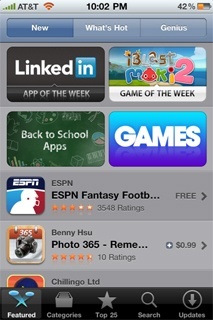 If you look at the App store in iTunes it’s called “New and Noteworthy”. The only way to get in that coveted section is to be selected by Apple. There’s nothing you can do at all. They look at the quality of the apps and number of downloads I assume. I saw apps that had no reviews or ratings, so that’s not a big factor. Apps are featured on that page from Thursday—Wednesday only. I knew this was going to be huge for my app. I literally could not sleep Thursday night because I kept thinking of checking my sales figures Friday morning. I woke up and checked right away. I had 982 downloads! The day before I only had 93. Apple keeps 30% so my cut would be $658.10. I’ve never made anywhere near that amount of money in one day online! I knew the weekend would be even better. I couldn’t sleep Friday night at all When I checked I saw Friday had 1,767 downloads and Saturday I had 1,712, and Sunday 3,343! Even seeing those numbers now leave me speechless. Since I’ve been on that page, my app has gotten to #4 in the photo category and now #44 in the whole app store! On Sunday the App store Facebook fan page featured my app. They have 2.5 million fans. Through the first full 11 days I’ve earned $6,639.32. So the key to my marketing was to put all my money into the app. To make it the best I could and make it great for the users. If I hadn’t done that, no matter how many review sites I submitted to, or money I spent on ads on blogs, I know for sure I wouldn’t have been featured by Apple. 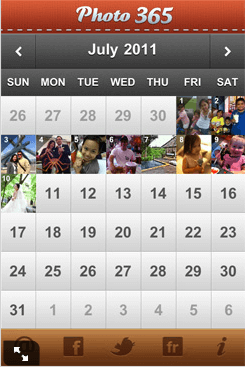 4) What’s next for Photo 365? Are there any updates planned? Well now that my app has turned from a small project into something that could last for a long time, I’m thinking about what’s next. First I have to be ready for what’s going to happen after I get removed from the new and noteworthy section. I really want to keep this momentum I have going. I’m definitely thinking of adding more features. I’ve gotten emails about certain features they would like. However when I created this app, I wanted to keep it as simple as possible. You take a photo, you add it for that day and you do it again. You can share your app on social media or email it to yourself. So I know whatever features I add, I don’t want it to take away from the simplicity of it. My developers said they are working on being able to sync photos between the iPhone and iPad with the upcoming iCloud. I know if they can do that, that will definitely be an added feature. I had some bigger goals in mind but I’m taking this one step at a time. In closing, I just want to say thanks to Pat. If I hadn’t come across your blog, this never would have happened for sure. Just reading your story inspired me to take action. I’m just a regular guy with a full time job still but with a goal of making money online. Apps aren’t the only way but one of many ways I am planning. Before I finish up, I just wanted to thank Benny once again for sharing his amazing success story with us. You can get to know Benny even better by checking out his blog at Get Busy Living. Being a part of the app store market for nearly 3 years now myself, I can tell you that success stories like this do happen every day, but at the same time—and I’m just being honest here—there are a lot more apps that are built that never even come close to this kind of success. 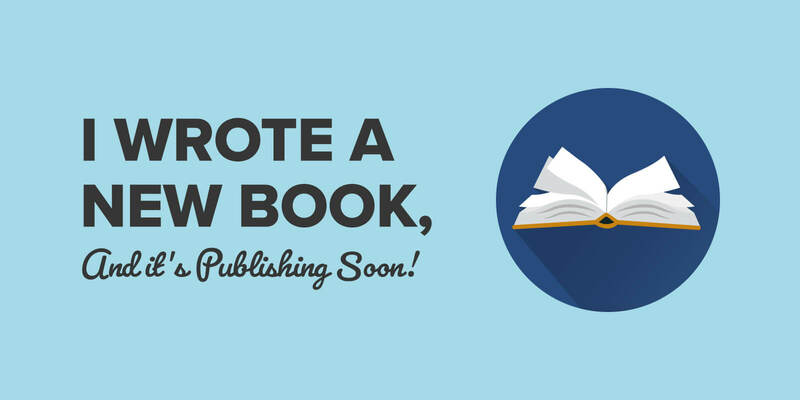 Many get published, and within a week disappear to never be seen again. Benny, of couse, had a lot of things working in his favor: a very sleek and well-designed application, one that people were happy to share through word of mouth and social media (which is built into his app—smart!) and it’s one that caught Apple’s attention. He also had great immediate exposure by giving himself the most visibility in the Newly Released section on the first day, which I’ve learned to be pretty important too. He hit the jackpot, but the most important thing is this: he gave himself a chance to hit the jackpot. Now, I’m not saying you should buy lottery tickets and hope for a miracle, but what he did was he made decisions, took action, executed, and gave himself the best chance to succeed. It might seem like it, but remember—it took him 7 months to complete the application to his liking, and a lot of hard work and probably a lot of frustration too. Things like this don’t happen overnight—there is almost always some kind of work involved for a long period beforehand. Am I saying you should go into the app market? No—that’s not the point of this post, although you can if you want. I’m in it, and Benny proved that there’s still room in the App Store for more success stories, even today. My point is that whatever it is you want to do, do it! Why wouldn’t you try? Congrats Benny, you deserve it my friend!